The Residences at Dove Mountain is famous throughout Tucson for its reputation as an example of luxury living. You’ve likely heard tale of our world-famous golf course and club, the spa and fitness amenities we make available to our residents through our partnership with the award-winning Ritz-Carlton, along with the concierge and housekeeping services the resort offers as well. Truly, this is living at its finest. 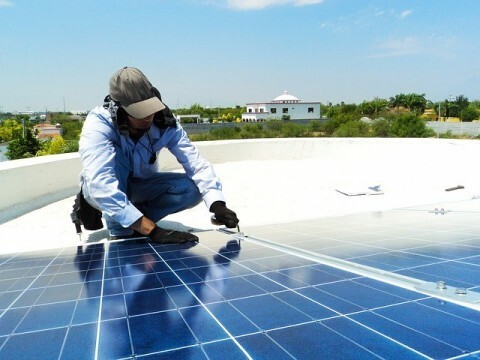 Did you know that Tucson is one of the country’s 13 “Solar Cities”? We’ve been awarded $500K in order to reduce greenhouse gas emissions through the adaption of solar power through 2030. Life at Dove Mountain gives residents every opportunity to live a green life. For instance, Tucson is home to no fewer than 20 farmers markets. There are hundreds of miles of bike paths and trails throughout the city – regardless of whether you’re looking for a challenging ride through the mountains or a fun, easy ride, opportunities abound. The City of Tucson Waste Management even provides recycling pickup services. Lowering the carbon footprint is something any green-focused person is concerned with. This is why Dove Mountain is a great choice for green living, since Tucson was ranked 17th in a list of U.S. metro cities with the lowest carbon emissions by the Brookings Institution in 2008. Tucson is a city that takes the reduction of pollution seriously, too. The American Lung Association ranked Tucson sixth in the U.S. for clean air in 2008 – and in 2010, they named us #6 again, this time when it came to lowest particle pollution year-round. Tucson is devoted to maintaining its status as a green city well into the future, and takes proactive measures to make this possible. Our green businesses and tourism partners are making it a point to make life greener every day, by supporting green initiatives and promoting these values throughout the community. Yes, it’s possible to live an upscale lifestyle while taking our environment into consideration – and life at Dove Mountain is proof of that! Why not find out more for yourself by contacting us today? The Residences at The Ritz-Carlton, Dove Mountain is an exclusive community featuring some of the most exquisite luxury homes in Tucson, Arizona. This luxury Dove Mountain real estate community includes expansive custom homesites as well as eight superb floor plans, giving you the opportunity to design your dream home. Management by The Ritz-Carlton provides the added touch of world-class service, with valets and concierges, and the option of cooks and housekeepers. Your Dove Mountain home will be a relaxing haven where you can unwind while we handle the details of housekeeping, yard work and exterior maintenance. For more information visit www.theresidencesdovemountain.com.